Today i want to introduce you to my friend Ala. We went to RISD together and were both in the apparel design department. 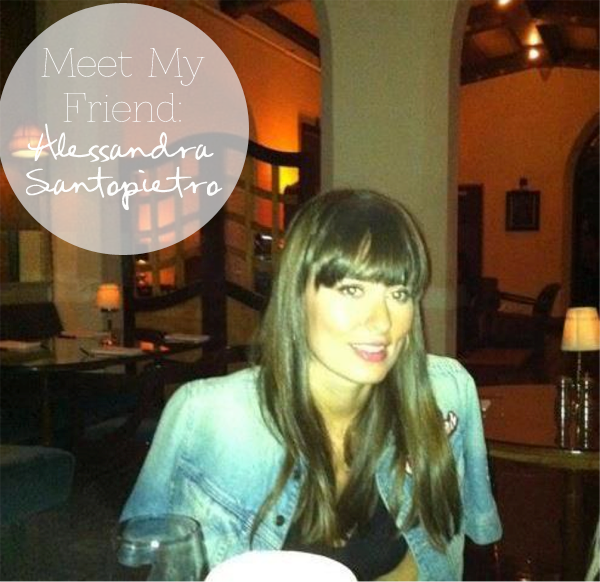 She has great style and taste and now works as an interior designer. 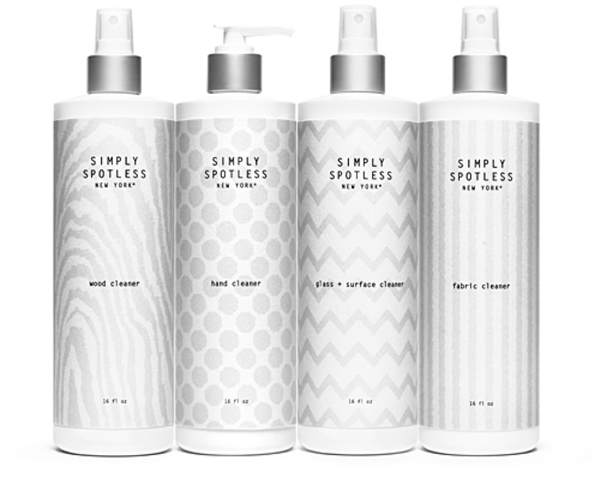 Check out these spaces and new home cleaning product line she developed! What is your current job and previous & Where do you live? 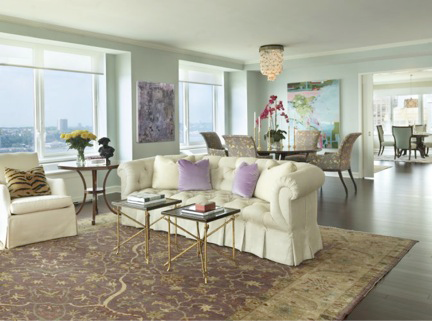 I am currently a Designer at Meryl Santopietro Interiors and for Simply Spotless New York, Inc. Previously, I worked for Ralph Lauren in their Women’s Black Label Fabric Department. I live and work in NYC. My design process when working on projects for our interior design company involves sourcing fabrics, furniture, tile and wood samples. 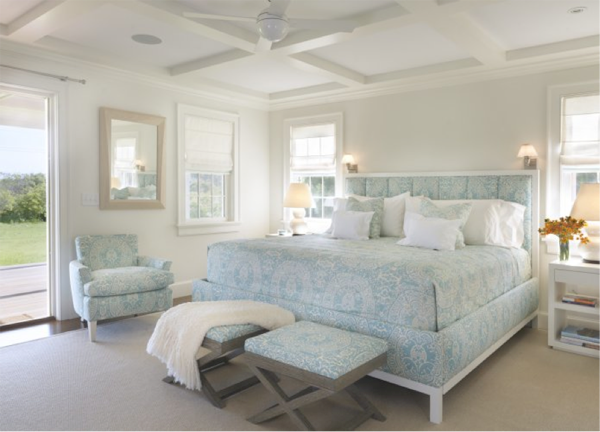 After drawing inspiration for the project and working hand in hand with the client to achieve their vision I assemble design boards to help clients visualize the layout of each room and specifications of furniture, artwork and accessories. When designing our product line, I created the patterns for labels drawing inspiration from textile designs. I worked alongside graphic designers to refine the graphics and font of the bottles. The best part of my job is working with my mom and sister. If you could design for any client who would it be? My dream client would be the developer of a boutique hotel. I would love the opportunity to create a luxurious oasis and tailor each suite to the guest that I envision staying there. My favorite project has been the creation of our product line, Simply Spotless New York, Inc. It has been a long process but it is so rewarding to see how the product developed from my initial sketches of labels. A few of my favorite spots in New York City are: Rubirosa for pizza, Bond St. for sushi, Aroma for coffee when I’m shopping in Soho and for clothing I love Opening Ceremony. 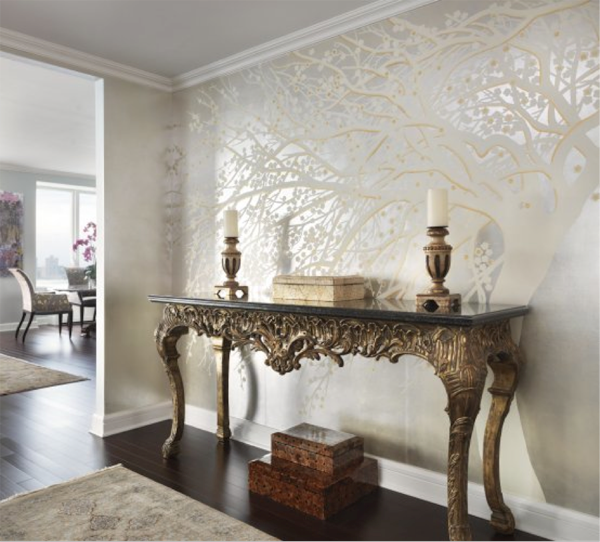 You can visit Ala’s interior design firm here: Merylsantopietro.com and the website for simply spotless here: Simplyspotlessny.com Like Simply Spotless of facebook and follow on pinterest, instagram & twitter!